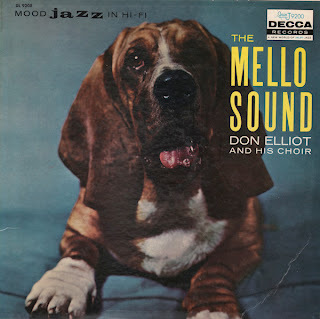 Apparently Decca misspelled Elliott's name on the front cover. His last name is spelled Elliott on the back cover and on his wiki page. From Billboard April 21, 1958: This set can appeal in both pop and jazz markets. The six-voice choir has a warm, attractive sound on the pretty standards. Elliot is featured on mellophone, vibes and trumpet. The overall mood is relaxed. The arrangements are by Elliot and Billy Meyers. This can move. 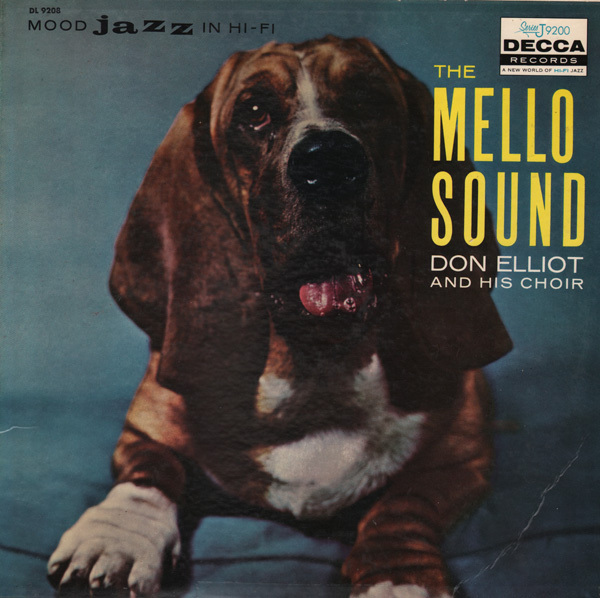 From the back cover: It was with the George Shearing Quintet that Elliot became a "name". George continually spotlighted his men, giving them ample opportunity to display what they could do.